Central Theatre malayalam movie directed by debutante Kiran with Hemanth Menon in lead is currently on going shooting at various locations. Produced under Tharaka Productions banner, the movie will have Sidhartha Siva, Arun and Anjaly Aneesh Upasana also in prominent roles. Scripted by Kiran himself, 'Central Theatre' is touted as a suspense thriller. The plot of the movie is about a happening in a time frame of 6 hours and in three different perspectives. Sunil Kaimanam would stay behind the camera. Young actor Hemath Menon who took a short break from the tinsel town for the completion of his studies is back in business with a number of projects in kitty. After donning the lead role in the upcoming film 'Actually', Hemath is currently busy with the shooting of his next venture. Titled 'Central Theatre', the movie helmed by debutante Kiran is touted as a suspense thriller. Some contemporary incidents happening in a time frame of 6 hours taken in three different perspectives forms the crux of the story. Produced under Tharaka Productions banner, the movie will have Sidharth Shiva, Arun, Fayiz Salman, Kozhikode Narayanan Nair, Majid, V K Baiju, Sunil Vikram, Anjali Upasana, Arunima, Prathyusha, Ambika Mohan, Kalady Omana, Stella, Master Chetan, and Master Abhinav will also be seen in prominent roles. Scripted by Kiran himself, the camera is being helmed by Sunil Kaimanam. Hemanth Menon who made his screen presence with Faasil's 'Living Together' had done characters roles in 'Doctor Love', 'Ordinary', 'Chattakkari', 'Ayalum Njanum Thammil', 'Chapters', 'Thomson Villa' and 'Tourist Home'. In 'Actually' directed by Shine Kurian, Hemath plays the role of Deepak who aids the heroine. Sidhartha Siva who is known for his directorial brilliance and acting skill is also doing a prominent role in the movie. Riding on the success of winning the 60th National Film Awards and Indira Gandhi Award for Best First Film of a Director for his movie 101 Chodyangal, Sidhartha has shown his skill in character roles too. His appearance in movies like Thirakkadha, Ivar Vivahitharayal and Bodyguard were well appreciated. 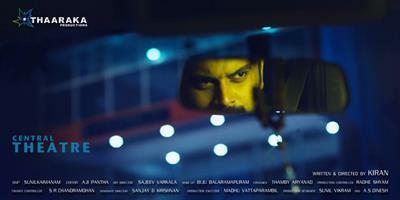 Other than 'Five' starring Indrajith in lead, Siadhartha is helming a project titled 'Zahir'. Meanwhile actress Anjali who has movies like Seniors, Venicile Vyapaari, Scene 1 Nammude Veedu, ABCD, 5 Sundarikal, 100 Degree Celsius and Pattom Pole in credit is waiting for the release of 'Seconds' directed by her filmmaker husband Aneesh Upasana.